Lassen Community College instructor Chris Baker is here to inspire the next generation of fire science students and integrate his experience, education and the techniques from his vast knowledge in the field toward the future of public service in the North State. With the success of LCC’s nursing program well underway, Baker is at the forefront of the fire science industry and is looking to strengthen the college’s program. Upon first meeting the college’s new instructor for this interview, a glimpse of his passion and dedication to his profession were unmistakable. Sitting with a student, Baker was going over the student’s resume, giving pointers and guiding him toward full-time employment. His passion for guiding and educating the future members of the fire service is central to his purpose and naturally close to his heart. Baker recently moved back to Susanville in September with his wife, who works at Banner Lassen Medical Center, and his two younger sons. Excitedly, Baker said that as of now, “The Forest Service just put out a posting and they have between 50-75 positions – jobs. Baker has so far helped 60 students and candidates receive full time employment within his career as an educator, and hopefully, many more in the future. Being in fire service 12 years, Baker started his career as a volunteer and still spends time as one today. He spends Monday through Thursday here in Susanville, teaching at Lassen High School in the mornings and then at the college in the evenings. From Friday to Sunday he works as a fire captain and public information officer, serving in Sacramento and Solano counties. However, Baker has his office doors open to mentor current students as future public servants. His commitment to his students comes from his own experience of generosity throughout his journey, and is looking to “pay-it-forward” to continue. His personal measure of true success is seeing his students be successful. Although his time is deeply involved with his career, his joy and passion at the end of the day comes from his service and his of sense of purpose. 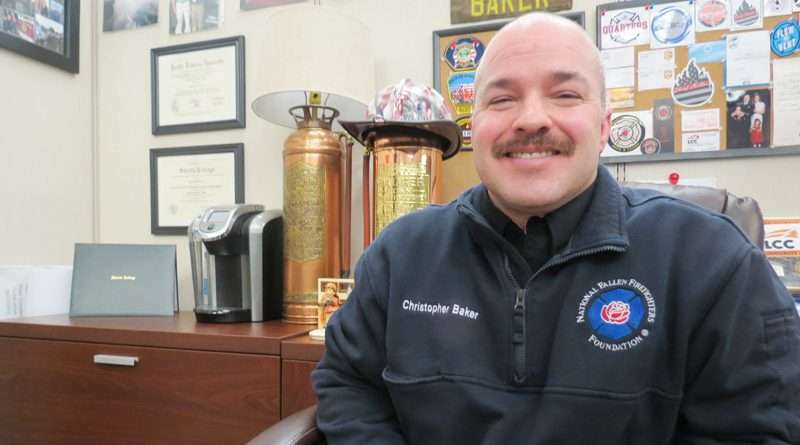 Baker possesses an enthusiastic and impassioned spirit, and it’s no wonder why he has been sought after to speak multiple times at national and international fire science conventions. His intent is to provide our students and community with the expertise found at these distinguished conventions in addition to his time spent in Los Angeles, the Bay Area and here in the north. He recalled his defining moment when someone helped him to guide his path. He reflected on the moment when he walked into a volunteer fire department and was sat down and someone shared the process of how to become a volunteer. He spent a year in that position, and made the career choice in that time. It proved to transform his direction forever. His education started at Shasta College in 1998, where he also now teaches. He also teaches at College of the Siskiyou. He received a full-ride gift from Pacific Lutheran University and is now pursuing a master’s degree at CSU Long Beach. Over the past several years, Baker has traveled across the country teaching at national level conferences. He has also been a contributing writer for Fire Engineering, Fire Rescue Magazine, Firefighter Nation and the International Society of Fire Service Instructors. Baker is returning to the Susanville area after the past 10 years, where in 2008, he attended LCC and lived in the dorms. He soon after worked for the Cal Fire Lassen-Modoc Plumas Unit as a seasonal firefighter at the Susanville Headquarters in 2008-2009. His experience extends beyond fire science, too. At LCC, he excelled in wrestling, and in 2003, Baker was the runner up in the Iron Man competition and placed fifth in the world. His impressive credentials are almost countless. 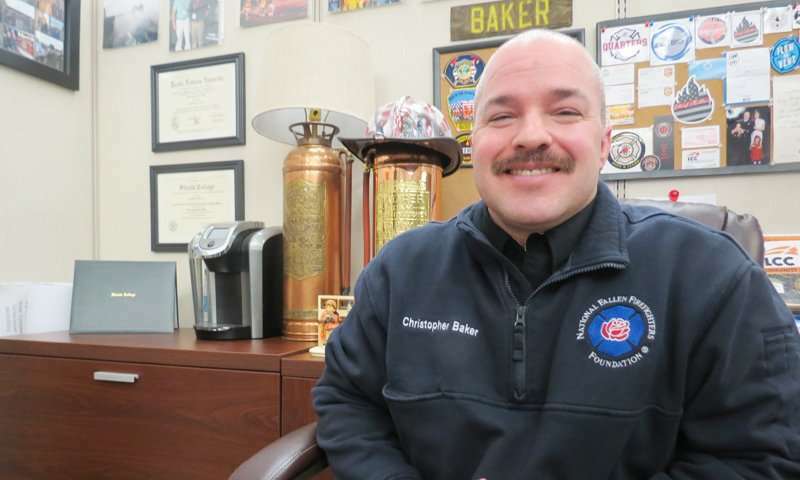 Certified to teach in more than 20 subjects in the State Fire Training curriculum and a Lead Firefighter I Instructor, having Baker as a professor just might be the ticket to local employment in public service for those willing to put in their heart and time.